It’s weird, but when I am sad, listening to sad songs cheers me up. For me, nothing is sadder than a cry-in-your-beer country music song. 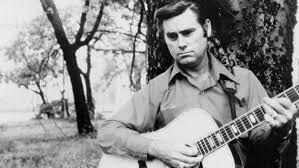 I love the ache of a twangy voice that cracks with pain, a slide guitar, and lyrics … and no one does it like George Jones. Well, maybe Tom Petty does. Longing. 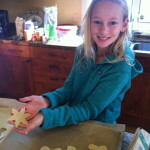 OK, well, then there’s The Hag – yup, Merle Haggard. Bewilderment at all how it all came down. But I don’t want to leave out Vince Gill. Lonesome. Gram Parsons and Emmylou. Keith Whitley. “There were times if you’d been around, you would’ve seen me broken down.” Vern Gosdin. “if you’re gonna do me wrong… do it right. 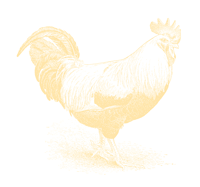 Ralph Stanley… nothing darker. For some reason these melancholy, heartbreaking tunes cheer me up. I could go on and on. Who do you turn to when you are sad? A few links I hope you like. This is on my reading list. I Found My Tribe. Prince. Always and forever a 70’s girl. The rise and fall of the once great Tower Records. I could watch this four hour movie over and over again. Running Down a Dream. Sending big hugs out to anyone who needs one today… including me. Editor’s Note: My dear friend Liz recently completed a 28-day solo (!!??@*!!) 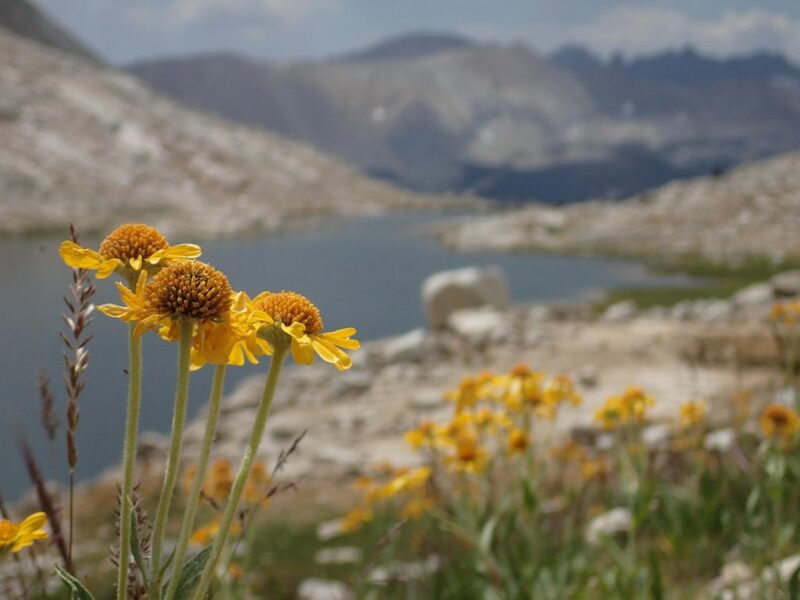 hike of the John Muir Trail, including an ascent of Mt. Whitney. As she told me about her trip, what really moved me beyond the sheer physical feat, were the insights she gained during her adventure. I asked her to share her experiences here because while not all of us will ever scale a mountain, or do a solo wilderness hike, the life lessons she learned are universal. Last summer, at age 55, I decided to solo backpack the John Muir Trail, the famously rugged 210 mile trail of High Sierra wilderness. 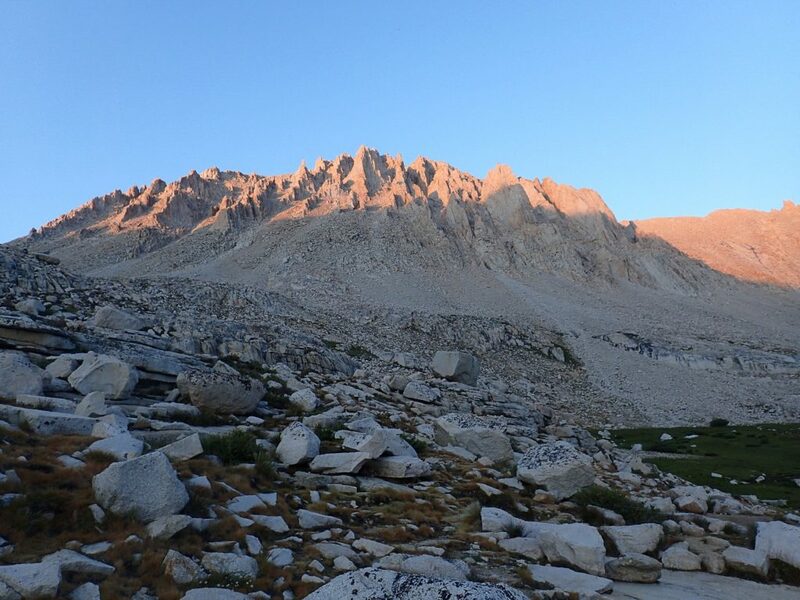 To complete the full trail, I would need to summit Mount Whitney, which, at an elevation of 14, 505 feet, is the highest peak in the continental United States. Being afraid of heights, I told myself that when the time came, it would be perfectly okay to … well, skip the Mt. Whitney part. Giving myself permission in advance to wriggle out of the most scary element of the hike made me happy, and off I went. Mt Whitney, captured in the alpenglow. The summit is not visible from this angle, but the ruggedness of the peak is. A view of Mt. Whitney buttress from near my campsite at Guitar Lake, which sits at 11,500 feet above sea level. I had still made no decision, other than deciding not to decide, but when I woke up earlier than planned around 3:00 am, I just got up and got on the trail. Yes, in the dark, by the light of my camping headlamp. I figured if it was too dark or scary I would just park alongside the trail and wait for sunrise. No big deal, right? The view going up the trail to the Mt. Whitney summit. Off I went. 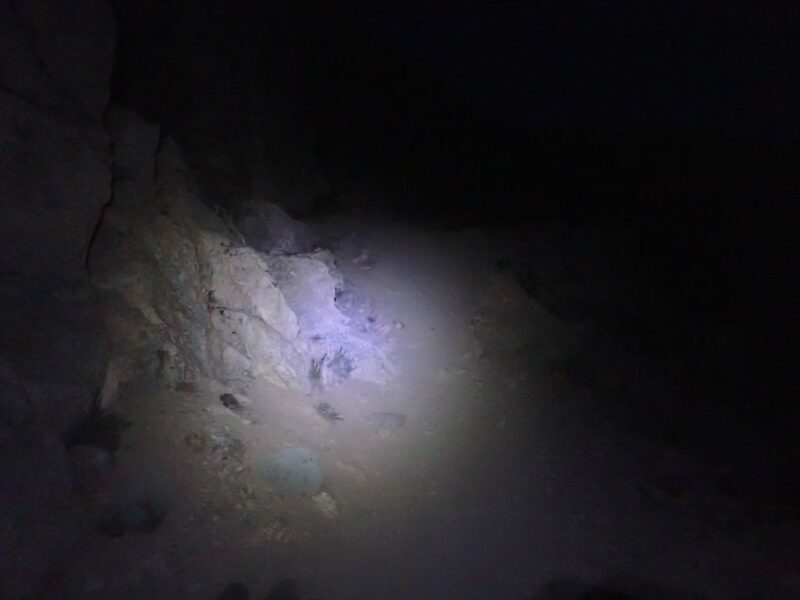 As I worked my way up the mountain, eventually on very narrow switchbacks, I had the sense of a huge, dark void off to my side, but my small headlamp wasn’t able to light anything except the trail immediately in front of me. There’s an unearthly predawn silence up there. The lack of wind is unnerving. All I could hear was the sound of my own steady breathing, the occasional clack of one of my hiking poles on the rocky granite, and my boots landing one step at a time, step by at-this-point-grueling step. The air was so thin at around 12,000 feet that my lungs had to work very hard just to maintain a slow walking pace. After about an hour and a half, I was starting to feel more than a little peaked and decided to ‘pull over’ at the next large boulder for a snack break. Some part of me was aware that it was becoming light out, but just barely, and the trail was so narrow that I wanted to be sitting on a secure base so that I wouldn’t lose my balance when I took a look around. I pulled over, settled my rear end onto a boulder, and surveyed my surroundings. Immediately I felt like a sleepwalker who woke up standing on top of a 20-story office building. My headlight-illuminated view of the edge of the trail where I sat down for a break. I felt the worst kind of panic I have ever felt in my life. 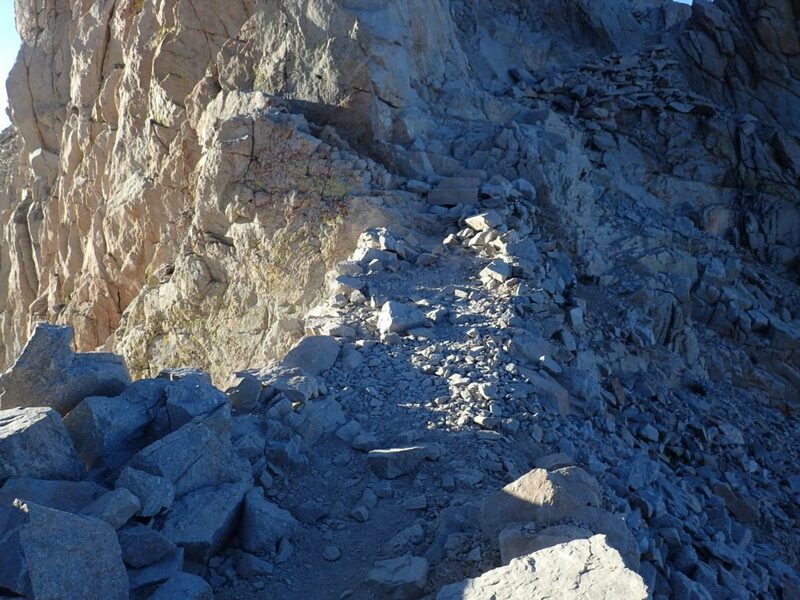 The wall I was perched on was so steep that when I looked up I couldn’t see trail, just granite. When I looked down I could see only the last couple of switchbacks that I had just ascended. I was higher than the tops of some massive mountains off in the horizon. I could look down and see the lake I had started from that morning, far below. My breathing hastened and my heart pounded as I escalated into a full blown panic attack. I felt embarrassed and ashamed. “How did I get myself into this mess? 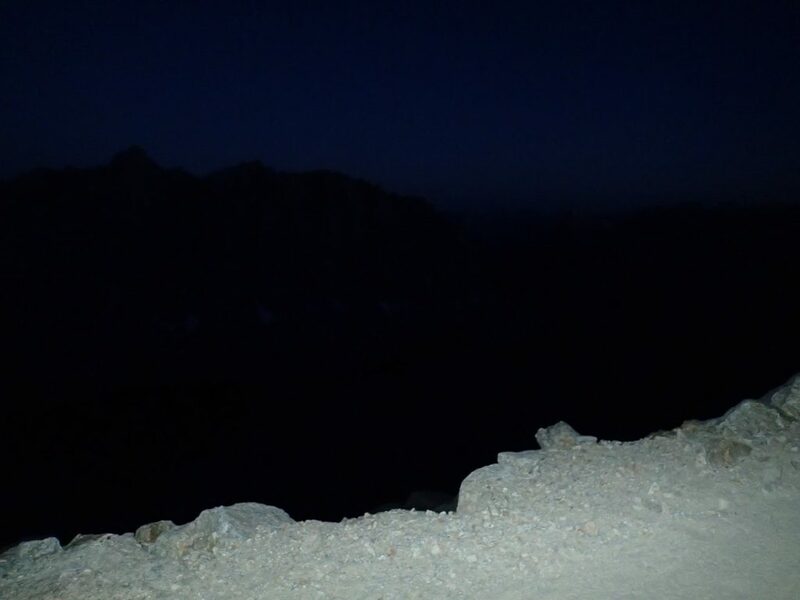 Of course it’s stupid hiking up a mountain in the dark!” My mind raced. “How am I going to get out of this? I can’t go up – it’s terrifying. Going back down is even worse.” I was stuck. “The only way I’m getting off this mountain,” I thought to myself, “is via rescue helicopter.” I visualized hooking onto a rescue person in an orange jumpsuit and whirling away at the end of a taut line with my eyes scrunched tight. Sure I would have to explain to my husband why I spent good retirement money on a personal helicopter airlift but so be it. After what seemed like an eternity but must have been about 20 minutes, I started to try to think myself out of the situation. Drawing on years of a steady yoga practice, I forced myself to take long slow calming breaths. And then I had an epiphany. 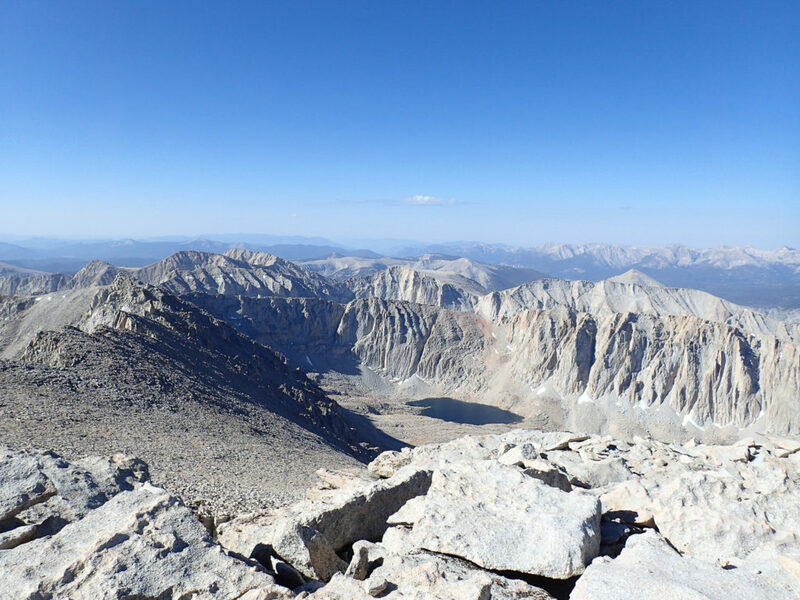 It may not seem like much – but my panic attack provided the first of four life lessons about goals and achievement that Mount Whitney taught me that day. 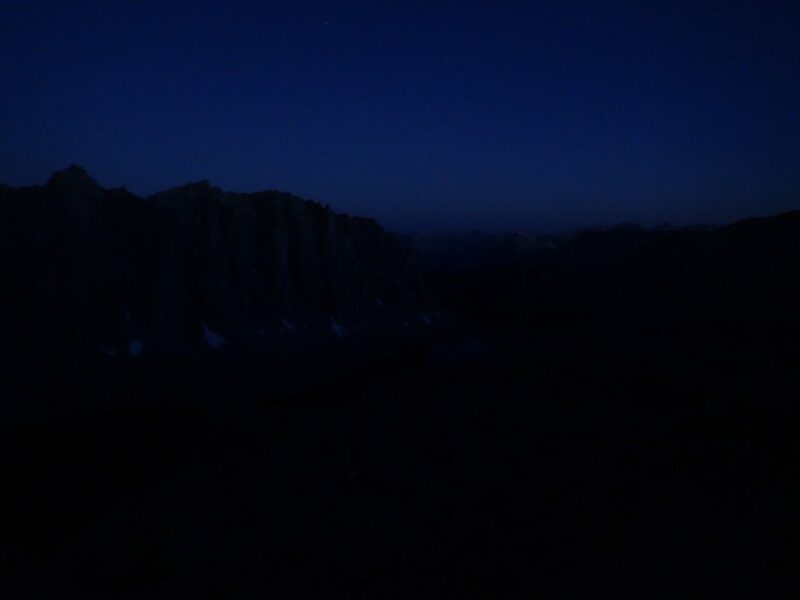 Pre-dawn view at the break spot, no headlamp. Early dawn at the break spot. Mt. Whitney Lesson #1: Focus on the trail. When you’re afraid of heights, the advice is always “just don’t look down.” How many times I had scoffed at that advice! It’s a cliche, but in that moment of deep desperation high up on the mountain, I recognized the broader truth: the danger itself hadn’t changed, only my perception of it. Before, when all I could see was the trail, I wasn’t afraid. Nothing material had changed. 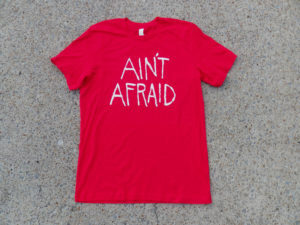 Therefore, it was actually up to me how I chose to react to my fear. It was within my control. All of a sudden I felt powerful and while not exactly unafraid, I felt capable again. My new mantra became ‘just focus on the trail.’ If I could do that, I would be okay. Just focus, and disregard any thoughts that weren’t related to the trail immediately in front of me. So I took a deep, slightly shaky breath, put on my virtual horse blinders, and kept going up. How does this apply in the real world? I think it’s this: when we allow ourselves to spend time thinking about what’s not on the immediate ‘trail’ right ahead, we allow the extraneous to enter in, to our detriment. Focus is incredibly powerful, especially when things are scary; the rest is distraction. Mt. 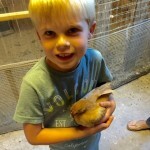 Whitney Lesson #2: Positive experience is a choice. 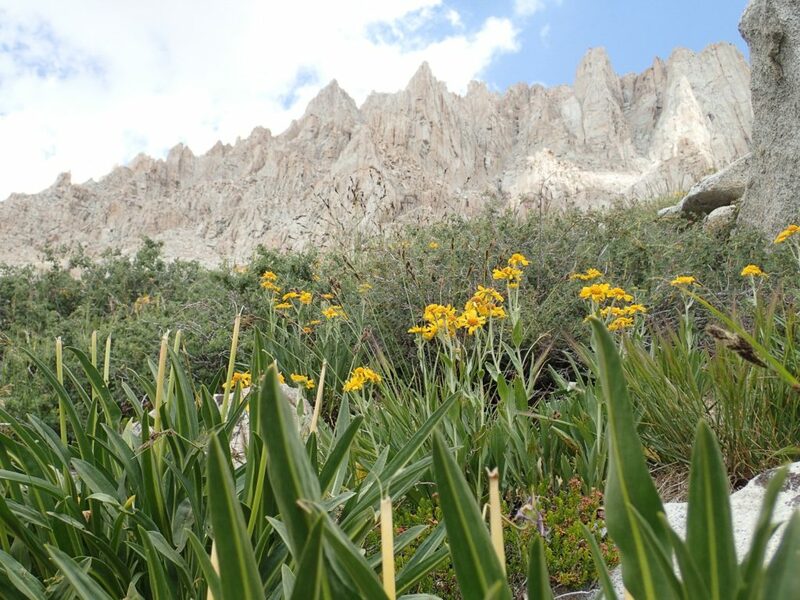 I thought about these things as I worked my way on up to the trail junction where the trails from the eastern and western sides of Mount Whitney converge. The junction is at 13,500 feet, high by any standards. The final two mile hike after this junction packs in another 1,000 feet of elevation gain; again, significant at those altitudes, and tough on most bodies. As I reached the junction, a party of four arrived from the other direction. A young woman in the group was having an emotional meltdown at the strenuousness of the journey for that final push to the summit. In a way, she was expressing on the outside what I was trying to suppress on the inside. And here’s the insight that came to me in that moment: our subjective inner experience of the world around us is what defines our life, not the objective outer reality. That woman and I were in the exact same reality up there at 13,500 feet, but we were having two completely different experiences. Fear and weakness and depression are always lurking out there and I believe that if we choose to pay attention to them we inadvertently make them stronger. 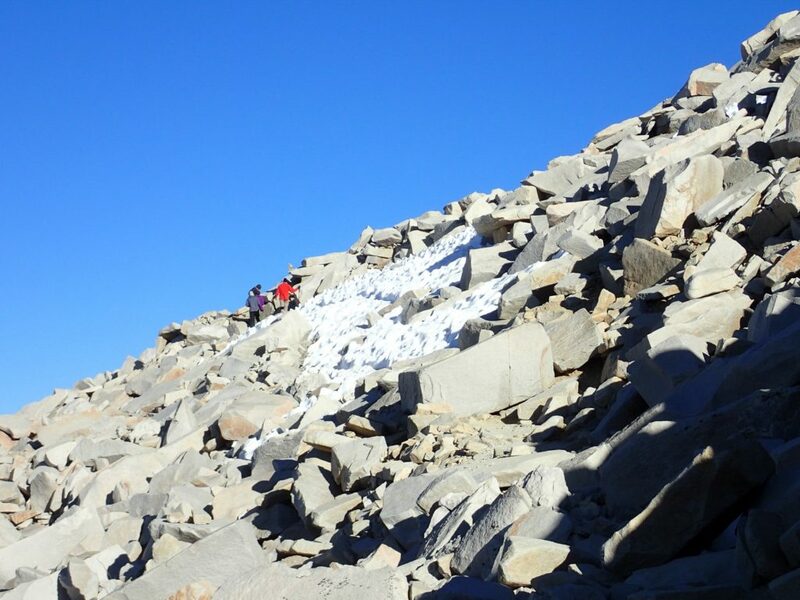 On the first day of my adventure, no fewer than three people advised that I not embark on the journey: First, as I was dropped off at the airport, I met a well-meaning California Highway Patrol Search and Rescue helicopter pilot who was aiding the search for a missing climber on Mount Whitney. We had a long chat, and his comments frightened me into believing that what I was about to do was unsafe as I didn’t have a personal locator beacon, I wasn’t wearing bright-colored clothing, and I was hiking alone. (Never mind that I had been preparing for a year, had a map and compass and knew how to use them, had training in wilderness first aid, had neon orange outside my pack, and much more.) Then, the cab driver who drove me to the trailhead mansplained to me why what I was doing was inherently dangerous as I didn’t have any personal knowledge of the area. Finally, the ranger at the trailhead campground convinced me that the mosquitoes would be driving me off the trail even before I started. I was struggling with depression as I started my big adventure. But courage, strength, and optimism are also ever-present and can come from unexpected places. As I worked my way up to the summit on those final two miles, I marveled about all the things I had to be grateful for in that moment: my new trail friends who had provided such warmth and companionship. My amazingly supportive husband. The fact that the dreaded altitude sickness – which to some degree can be mitigated but is still very much a ‘luck of the draw’ – had not forced me to stop my ascent. The pre-hike cortisone shots that enabled my knees to hang in there in spite of brutal elevation gains and losses. We must be mindful in noticing and integrating those positive influences into our experience. Gratitude is a conscious choice. 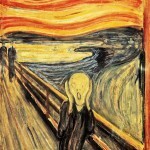 I left the crying woman behind, literally and metaphorically. Mt. 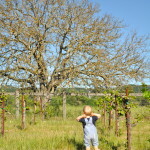 Whitney Lesson #3: A well of strength lies dormant deep within us. 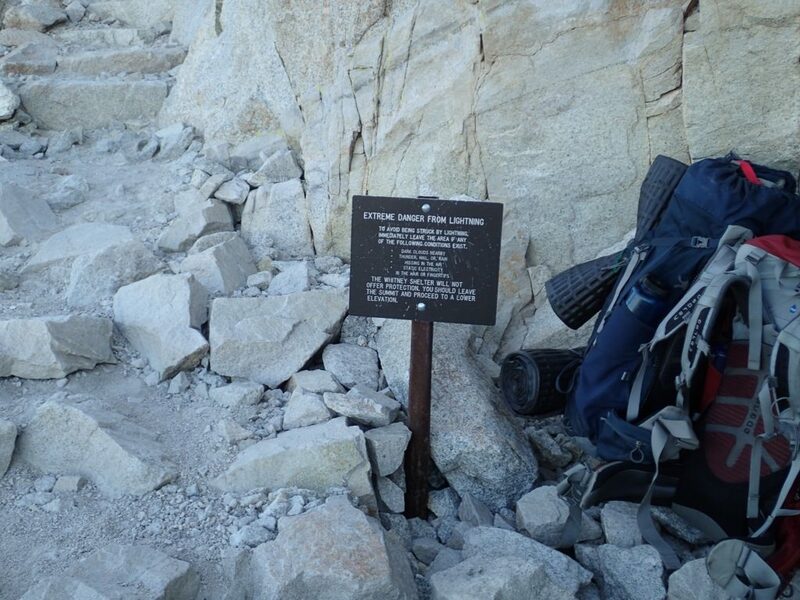 I carried on, past the signs that warned of lightning and unpredictable weather on the summit. The trail requires some hand-to-hand in some places to keep balance. At last, I was on the final mile of trail leading to the top. The final 500 feet of elevation gain. 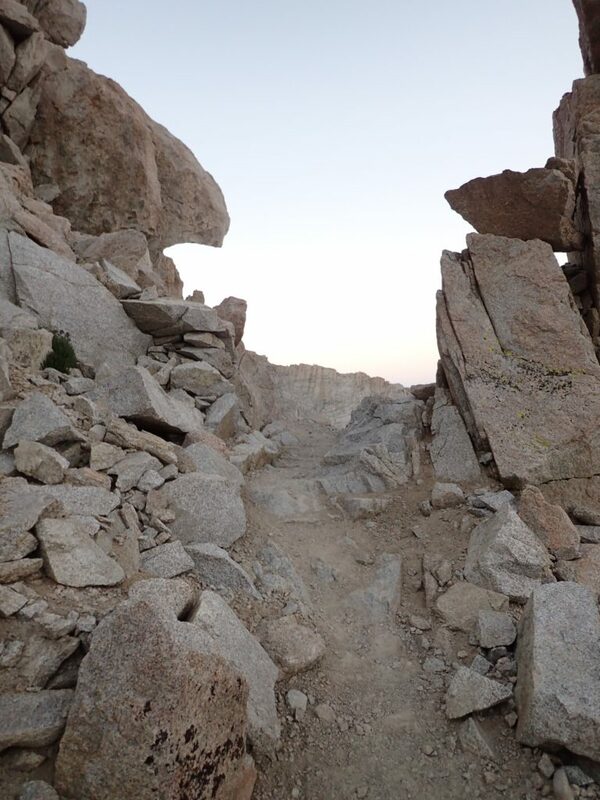 The trail was constructed almost 100 years ago, and since then there have been numerous rockslides, so what was once probably a straightforward hike now requires a bit of scrambling. There are spots where it’s necessary to negotiate boulders blocking the path, or walk over narrow ‘bridges’ with no railings, with frightening drops on both sides. I came across yet another obstacle: a narrow patch of icy snow flanked by razor-sharp loose rockfall on the down-mountain side. Seriously? Could I do this one more thing? Empowered by how far I had come already – essentially unafraid of these dizzying heights, I kept wondering who this person was who used to be me – I assessed the situation. I could see from the bootprints that others had come before me, even this morning. And then I had the most important revelation of my life: I can do this. I am strong. I put my hiking poles in my left hand so that my right hand would be free to grab the terrain if needed to keep balance, and got down on my knees, deciding that the safest approach was to keep my center of gravity low and crawl. Paranoid, perhaps, to someone more intrepid, but the right choice for me. With my bare hands in the icy snow I made my way along. An iconic view of Mt. 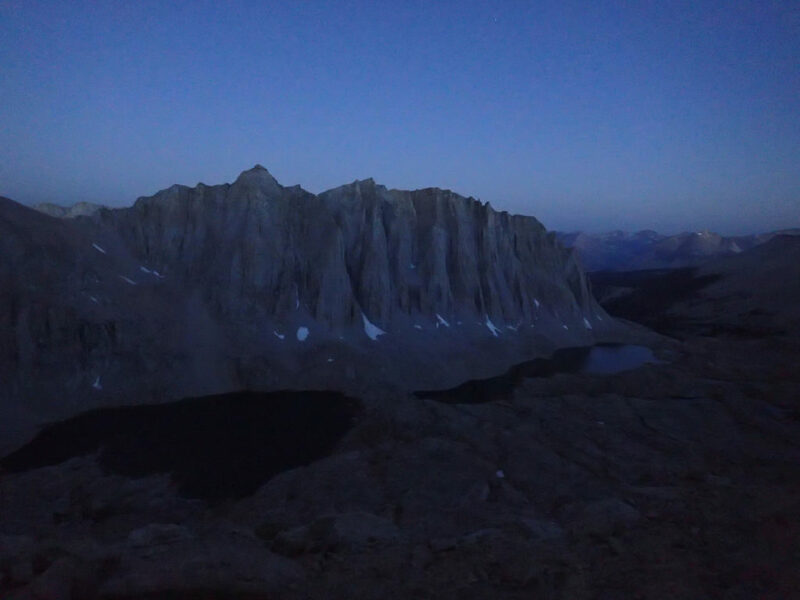 Whitney’s spires with the sun just hitting the Eastern face. Much later, while safely ensconced in my tent during that afternoon’s thunderstorm, I had an ‘aha’ moment: I had always been able to wriggle out of uncomfortable situations in my life. 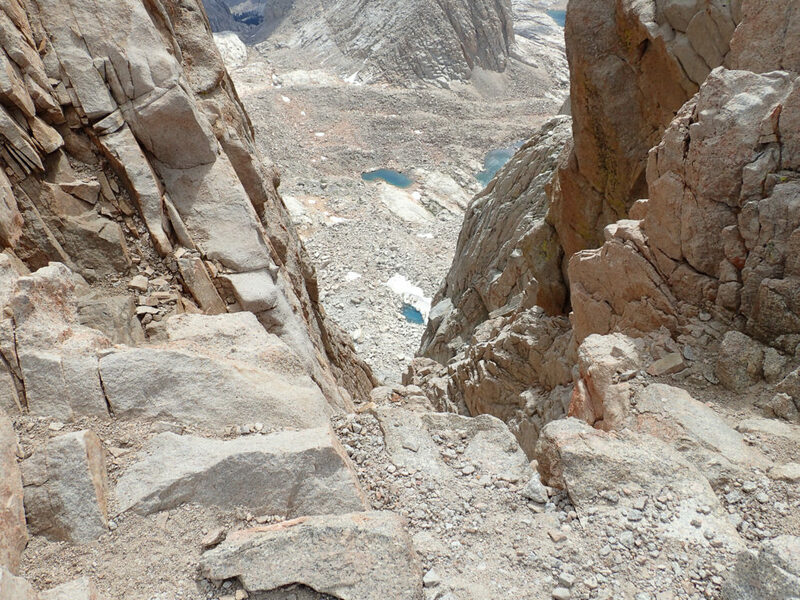 But being alone on Mount Whitney gave me the gift of not having any alternative but self-reliance. There was just no place to look for solutions but within myself. I discovered a well of strength deep within that I had no idea was there. One of the narrow bridges with straight vertical drops on both sides. Some other hikers on the far side of an icy snow patch. Mt. Whitney Lesson #4: Trusting in others will help you get there. 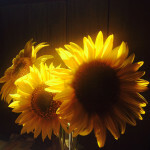 Paradoxically, tuning in with inner strength also makes it easier to share vulnerability. For me anyway, when I know I’m strong inside, I have an easier time sharing with others during moments when I don’t feel strong, or need help. My first glimpse of the roof of the Mt. Whitney Hut – the small straight line at the center of the horizon. During my preparation for this trip I discovered a group of women online who had agreed to wear turquoise bandanas so that we could identify each other on the trail. Now, four days into my trip, I hadn’t seen any of these bandanas. 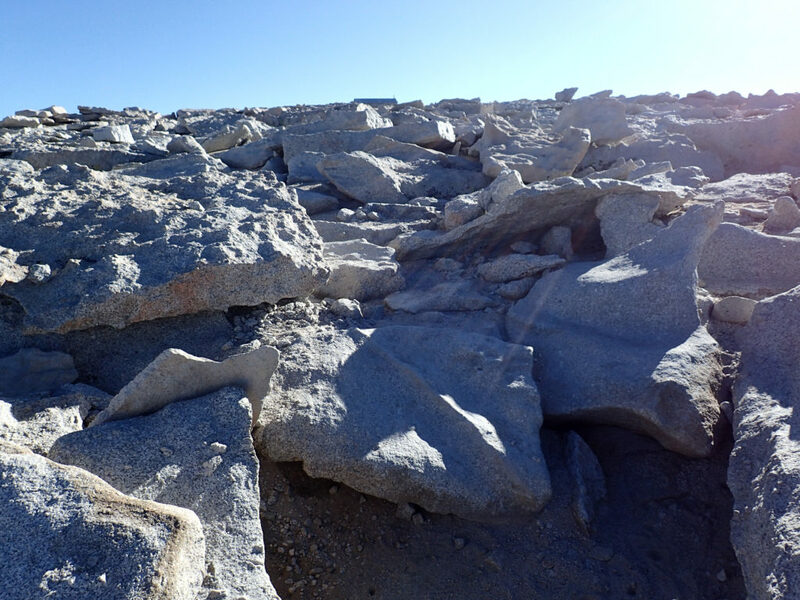 I worked my way to the summit, and during the last few hundred feet as I emerged onto the plateau that is the top of the mountain, I saw the roof of the Whitney Hut – a Mount Whitney icon that I had seen on Google Earth – and almost fell to my knees with a combination of excitement, relief, and adrenaline. After stopping to sign in at the trail log, and mixing up a tasty breakfast of powdered milk, granola, and dried fruit, I started to pay attention to the dozen or so people who were up there with me. And there was the turquoise bandana! We spotted each other at the same time. 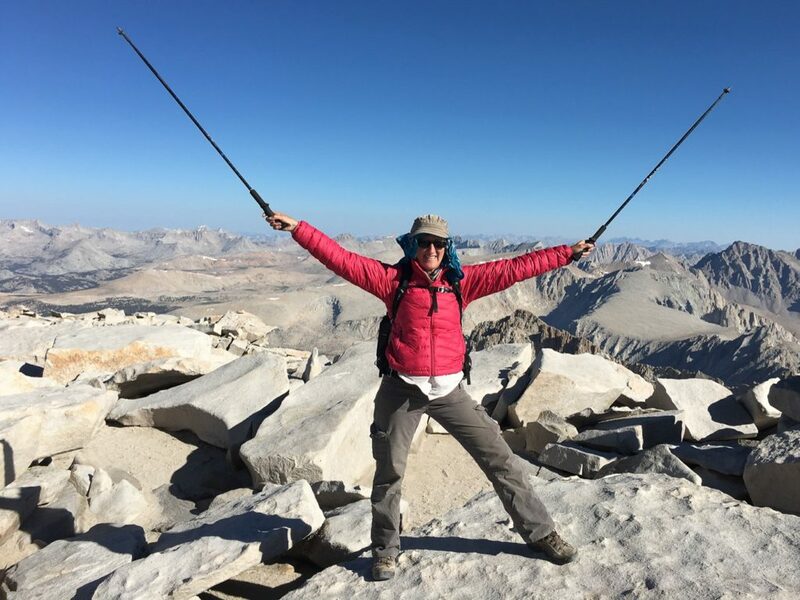 The incredible warmth I felt at meeting a wonderful stranger, who immediately felt like an old friend, and having this shared experience – the official ‘start’ of the JMT is on this summit – was almost overwhelming. 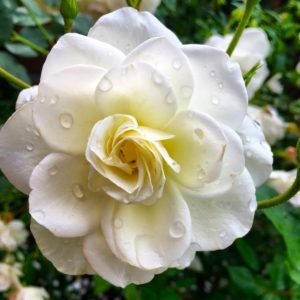 Meeting my first online buddy during that most challenging time helped me realize how important it was to be connected with people even though I had embarked on this journey ‘alone’. 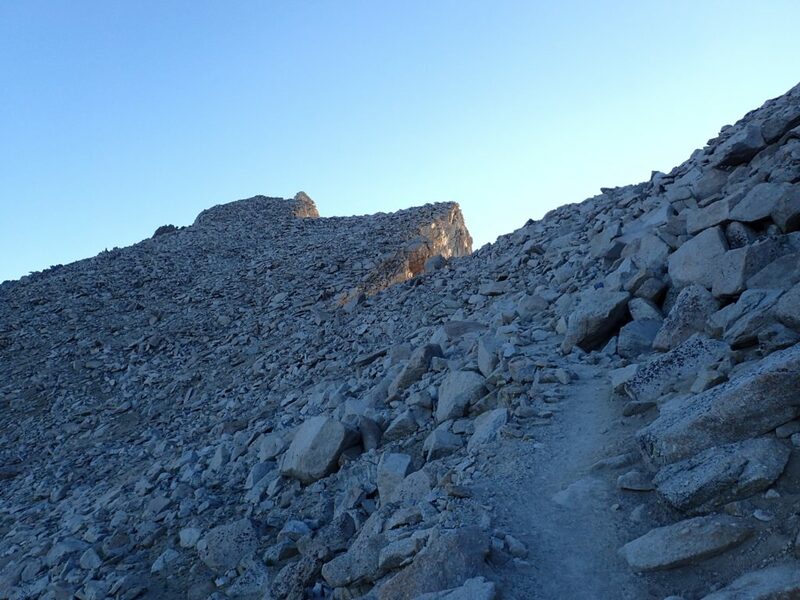 As I started to head back down – after all, my day was only halfway done, and clouds were starting to form – I saw my friends from the campsite the night before, just emerging on the summit. I was overjoyed to see them, as I had been concerned that perhaps they had decided not to go all the way to the top. 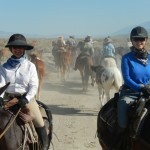 We shared our feelings at having met each other and traveled for a bit on the trail. Once again I was reminded of the incredible power of human connection. I would literally trust those people – whom I had met only days earlier – with my life. If you want to change, you’re probably going to have to experience some pain. Like a hard slap to the face, it’s something we’d all prefer to avoid. If I hadn’t started going up the mountain in the dark, I never would have made it all the way; I’m fairly positive I would have become intimidated early on and turned around. Challenge is relative; literally thousands of people summit Mount Whitney each year, but for me it might as well have been Mount Everest. I think if you can set up the right conditions to challenge yourself at a level that is appropriate for you, you’ll be amazed at what you’ll learn about yourself and your relationship to the world. Mountain daisies at Guitar Lake. 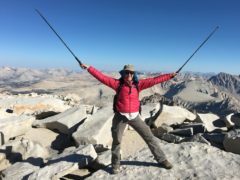 After summiting Mount Whitney, Liz Greer went on to complete a 270-mile through-hike of the JMT in the summer of 2016. When not planning her next mountain adventure, she is a dog photographer based in Marin County, California. 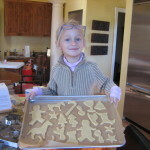 Learn more about her work at lizgreer.com.